Welcome to the digital age, where buyers expect you to already know their needs and 89% of organizations compete based on customer experience. How are you connecting data and insights to create compelling, personalized experiences for the empowered digital customer? Join Dave Welch, VP of Adobe, R “Ray” Wang, Founder and Principal Analyst of Constellation Research and Dina Apostolou, Director of Product Marketing at Microsoft, to discuss trends in digital marketing, hear how other companies are embracing the transformation and see a live demonstration of a digitally transformed customer journey -- inspired by 24 Hour Fitness. 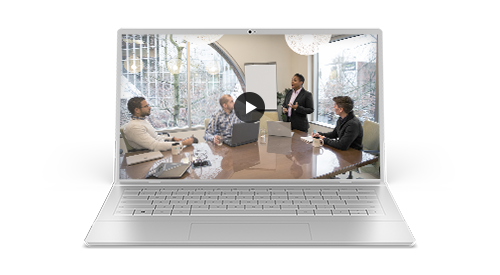 In this age of the customer experience, Adobe and Microsoft partnered to provide seamless integration of Adobe’s design, documents, and digital marketing solutions and Microsoft’s intelligent cloud and world-class CRM, Microsoft Dynamics 365. Watch this on-demand webinar to learn how you can enable world-class digital experiences by leveraging the strength of Adobe and Microsoft. Principal Analyst and Founder, Constellation Research, Inc.